Kazuya Mishima and Jin Kazama fight an epic father-son duel at Honmaru, of the Mishima Zaibatsu. When the dust settles, Jin is victorious. 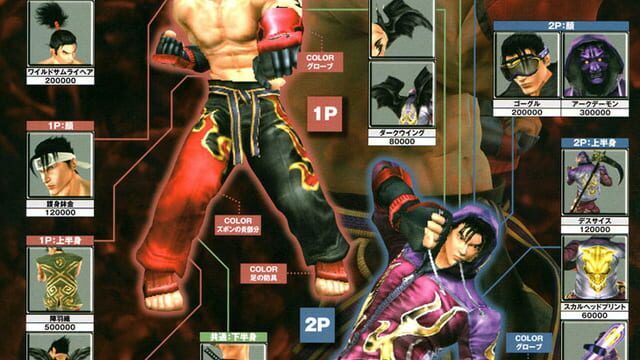 Disgusted, Heihachi Mishima turns his back on Kazuya. "Was that the best you could do? Pathetic! You deserve to die." A duel ensues between Heihachi and Jin... Jin sprouts black wings and goes berserk with rage, proving to be more than a match for Heihachi. Jin, however, regains his senses just before dealing the lethal blow. "Be thankful for Jun Kazama...my mother." Saying this, he flies off, leaving Honmaru behind. Heihachi is drained and defeated and lies sprawled on the ground. Once again, the battleground is silent. However, the silence is short-lived. Soon the sound of an aircraft can be heard approaching. The buzz grows to a roar, and something can be heard launching from the craft. A hoard of Jacks suddenly burst through the ceiling, invading the compound. At first Heihachi thinks that Kazuya has orchestrated the invasion. Kazuya, however, is roused by the rumbling and shaking, and obviously doesn't know what is going on either. Just as Heihachi shouts, the Jacks attack both of them. 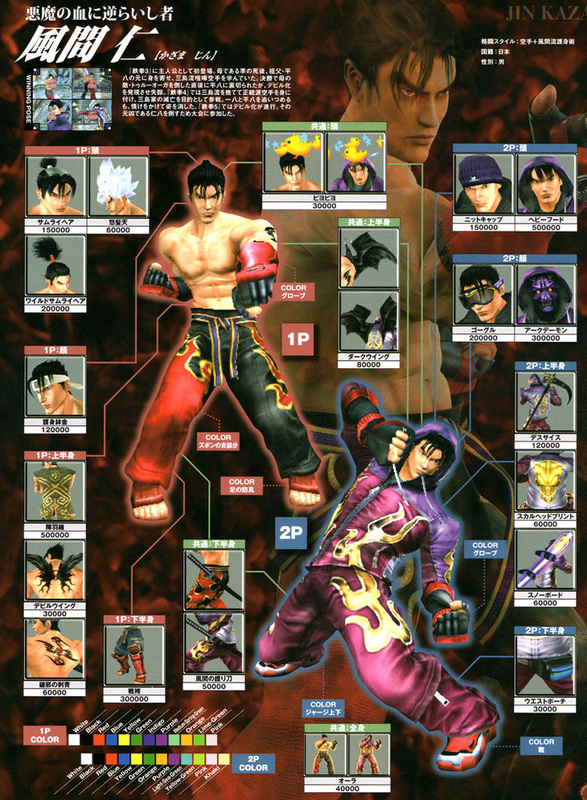 Heihachi and Kazuya are forced to fight together and begin destroying the Jacks. However, for every Jack they wreck, two more seem to take its place. Just as Heihachi begins to show signs of fatigue, Kazuya betrays him, hurling him into the midst of their enemies. Ignoring Heihachi's screams, Kazuya escapes Hon-maru while the enemies are distracted. Immediately afterward, Honmaru erupts in a massive explosion and is annihilated. A man cloaked in black silently watches the explosion. Placing his hand on his ear, he checks his transmission signal and reports: "Heihachi Mishima is dead..."
Immediately after his transmission, a single Jack attacks him from behind, but is obliterated with a single stroke of the man's blade. With that, the man vanishes. Desolated and in flames, all traces of Hon-maru have been destroyed. No one remains to witness the creature that bursts out of the ground amidst the rubble. The following day the world learns of the death of Heihachi Mishima, leader of the Mishima Zaibatsu. This should have marked the end of the Mishima Zaibatsu, but a mysterious figure assumes leadership of the organization, restoring order to it as if nothing has occurred. Mishima Zaibatsu announces it will host The King of Iron Fist Tournament 5.